Continued translation of the cultural section of the Cetian data has revealed further confirmation of a Sun Dragon visitation at Tau Ceti e. They first detected its approach from the probe we found orbiting the small moon at Tau Ceti g. The probe experienced no adverse reactions from the entity indicating that they weren’t using a nuclear drive of a type like the Mars Voyager. 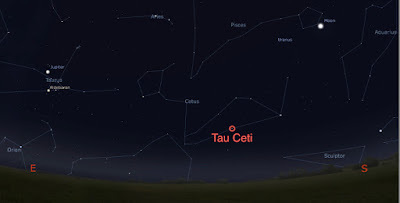 The compact nature of the Tau Ceti system’s layout meant that the Sun Dragon arrived at Tau Ceti e within three months – assuming that I’ve understood their metrics for measuring time correctly. Before its arrival, they understood little of the Sun Dragon’s composition or behaviour. So the effects when it arrived in orbit came as a greater surprise than for humanity. Despite that lack of warning, two factors prevented the apocalyptic effects seen on Earth. Most significantly was the magnetic field. 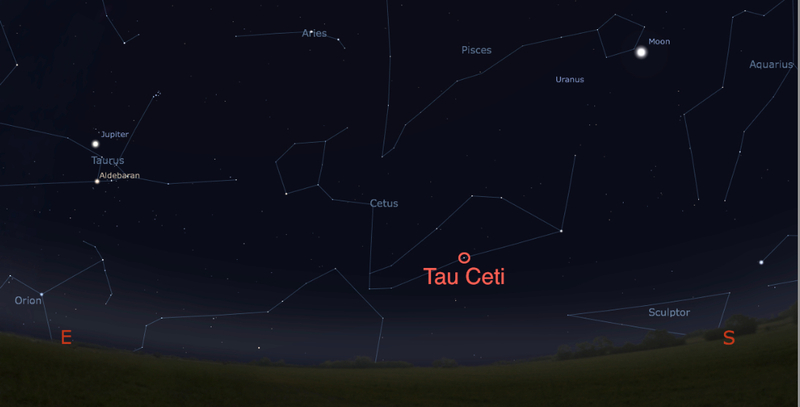 Like Earth, Tau Ceti e possesses a magnetic field providing a shield from radiation in the stellar wind. However, it was far weaker than Earth’s. That reduced strength lessened the effects from the Sun Dragon feeding on the charged particles captured in the magnetic field. On Earth, the energy discharges created electrical storms on a global scale. From their records, they experienced little more than vigorous displays of aurora. Their technology also aided them. The Sun Dragon’s arrival at Earth caused a cascade event in the orbiting satellites which then created a belt of debris, as one smashed into another and the debris took out more satellites. When we observed the debris in orbit around Tau Ceti e, I’d assumed that the same pattern had been repeated here. From their records, this wasn’t the case. Only a few of their satellites were damaged by the Sun Dragon. It appears that their materials technology allowed decent protection from electrical and energised plasma. I remembered the remarkable thermal properties of the two examples of their technology we’ve seen so far. Although that does also raise the question of what caused the destruction of their satellites. Of course, the real devastation on Earth arose from the massive weather changes after the Sun Dragon wrapped itself around the Sun. The sudden reduction of the Sun’s heat plunged the world into an ice age. The damage to the world’s infrastructure impeded humanity’s ability to respond and the result was cataclysmic. Tau Ceti e was a much colder world to begin with, although it would be difficult to imagine that from looking at its current scorched surface. The thermal properties of their materials benefitted them again as the temperature dropped. In short, they survived the encounter much better than humanity did – yet something destroyed their planet and almost all life on it. Good to have you back. Telemetry is receiving again!